Only one-third of taxpayers itemize their returns. But nearly all the rich do. The wealthy could see their tax burden go up by an average of $14,000 if lawmakers limit itemized deductions as part of a fiscal cliff deal. Taxpayers with adjusted gross incomes of $250,000 or more deducted an average of nearly $91,000 in 2010, according to a CNNMoney analysis of Internal Revenue Service data. If Congress limits deductions to $50,000, folks in this income bracket would be hit harder than others. 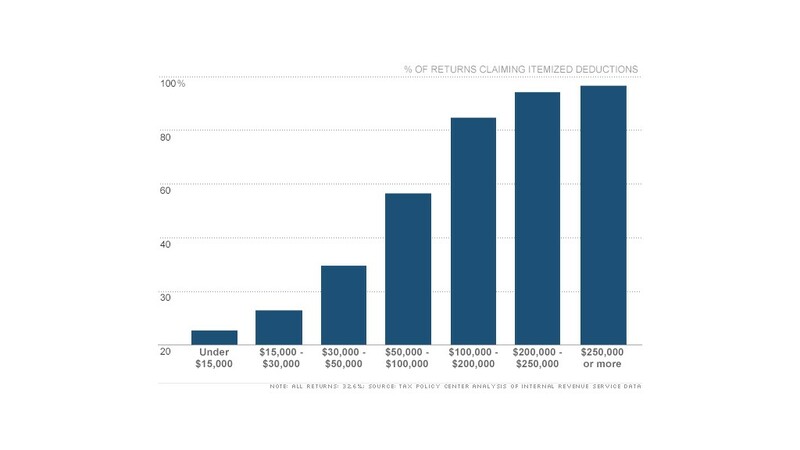 Only about one-third of Americans itemize their deductions, and they are mostly the well off. In 2010, only 29.3% of those making between $30,000 and $50,000 itemized, but 96.8% of those making $250,000-plus did. 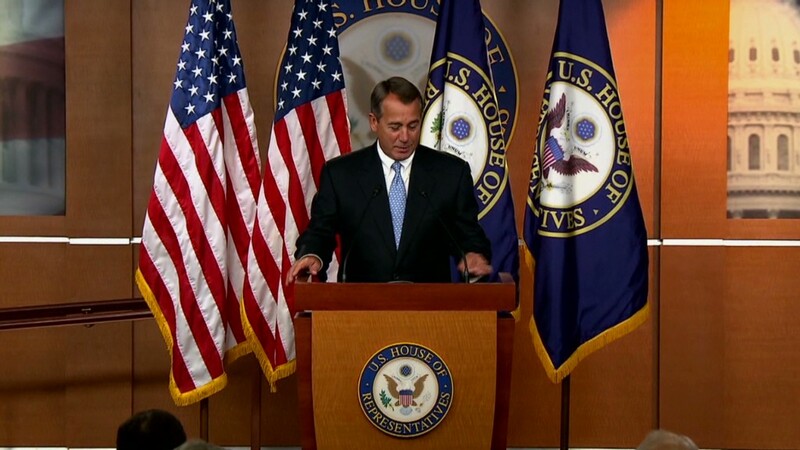 With many Republicans loath to raise tax rates, lawmakers are looking at other ways to raise revenues. One alternative under discussion is curbing the use of deductions, an approach that Mitt Romney championed on the presidential campaign trail. The most popular deduction among wealthy itemizers? State and local income taxes. Nearly 96% of those in the top bracket took advantage of this deduction, lowering their income by an average of nearly $37,000. The tax break made up 40% of their total deductions, versus only 15.5% for the middle class -- defined as those earning $50,000 to $100,000. The deduction for charitable donations was also a common one among the rich, with just over nine in 10 of them taking an average deduction of $19,650. It accounted for 20.4% of their deductions, compared to 12% for those in the middle income bracket. "These deductions are more important to [the rich] than to the typical taxpayer," said Roberton Williams, a senior fellow at the Tax Policy Center. One deduction that favors middle class taxpayers was home mortgage interest, making up 38% of all their deductions, but only half that share for the wealthy. That's likely because some wealthy homeowners don't have mortgages, Williams said. A scant 1.9% of the rich claimed the tax break for medical expenses, which only allowed taxpayers to deduct the amount above a threshold of 7.5% of their income. That's a harder bar to hit for those with big incomes. This deduction is most beneficial for the low-income since health care expenses can quickly swamp their meager salaries. For the few itemizers with incomes of between $15,000 and $30,000, this tax break made up a quarter of their deductions.